What Happens in London (Bevelstoke Book 2) - Kindle edition by Julia Quinn. Romance Kindle eBooks @ Amazon.com. When Olivia Bevelstoke is told that her new neighbor may have killed his fiancée, she doesn't believe it for a second, but, still, how can she help spying on him, just to be sure? So she stakes out a spot near her bedroom window, cleverly concealed by curtains, watches, and waits . . . and discovers a most intriguing man, who is definitely up to something. Sir Harry Valentine works for the boring branch of the War Office, translating documents vital to national security. He's not a spy, but he's had all the training, and when a gorgeous blonde begins to watch him from her window, he is instantly suspicious. But just when he decides that she's nothing more than an annoyingly nosy debutante, he discovers that she might be engaged to a foreign prince, who might be plotting against England. And when Harry is roped into spying on Olivia, he discovers that he might be falling for her himself . . . Available Matchbook Price: $1.99 What's this? 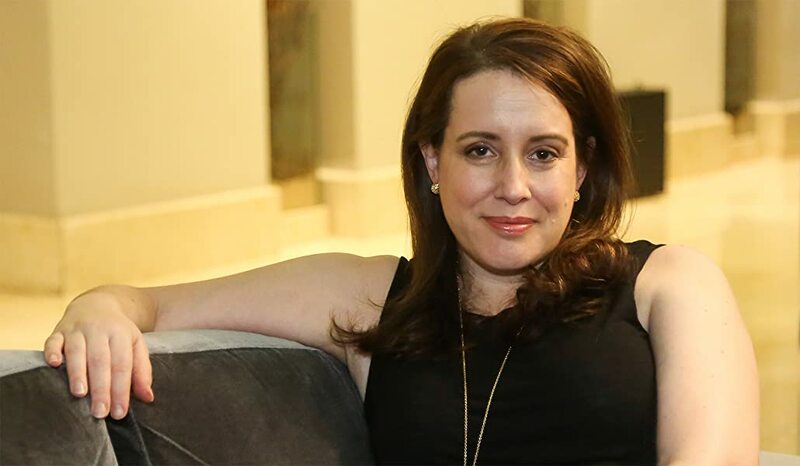 Julia Quinn started writing her first book one month after finishing college and has been tapping away at her keyboard ever since. The #1 New York Times bestselling author of more than two dozen novels for Avon Books, she is a graduate of Harvard and Radcliffe Colleges and is one of only sixteen authors ever to be inducted in the Romance Writers of America Hall of Fame. She lives in the Pacific Northwest with her family. Please visit her on the web at www.juliaquinn.com. As someone who's read nearly all of this author's books (some more than once) I generally know what to expect from her. This one had Ms. Quinn's usual charm and wit, and although it didn't blow me away, it was still a fun read. I liked both Olivia and Harry who were well matched and had great chemistry. They first meet when a rumor causes Olivia to start spying on him. Harry is then forced into spending more time with her by his superior at the War Department. There's a little animosity between them at first, but that quickly fades as they get to know each other. I liked the Russian connection this had and found all the secondary characters to be delightful. 4.0 out of 5 starsDelightful romance with humor and wit! This is sweet, fluffy read, with a wonderful romance between Olivia and Sir Harry. I was very taken by the teasing and the humor of the story as well. I think that aspect is the highlight, because it was so fun to read Olivia and Harry verbally spar as they got to know each other. The author's writing is so light and whimsical too - she made the characters and the plot a wonderful world to fall into. Although Olivia and Harry don't really like each other in the beginning, it is of course obvious they will fall in love, so just getting to the part where they start to realize the other isn't so bad is super cutesy and while that sentimentality was a little too much at first, I think the author developed it perfectly to be completely and giddily romantic when they first begin to declare themselves, and the romance of it felt just right and just delicious. As characters, I thought Harry and his family had an interesting backstory. There's a whole prologue that reveals what Harry went through as a child with an alcoholic father with that detail having a payoff in the end. But I think it more importantly gave an edge to Harry who would have otherwise have been a very light and teasing character. It gave a little more heft to the story in general too which I appreciated. Olivia is an almost perfect female heroine - beautiful, intelligent, and snarky but with a slight tendency to get herself into unusual situations. She's very endearing and it was clear that Harry was the perfect match for her. There's a great sense of fun in the characters and the story which belied a rather serious plot development that turned up in the last quarter or so of the book. It really surprised me, because there was no indication that anything like it would happen and it made me more eager to turn pages to see how it would all turn out. This is a thoroughly enjoyable and entertaining read with lovely main characters and a sweet romance! 5.0 out of 5 starsSurprisingly sweet. It is pleasurable to find an historical romance (actually romance in general) were there is no BIG MISUNDERSTANDING. Occasionally, it is nice to overdose on a sweet, slow slide into love. The hero, Sir Harry Valentine, did not possess a dark tortured soul but seemed to me to be infinitely pragmatic. And the heroine, Lady Olivia Bevelstoke, while being a diamond of the first cut was not catty or supercilious. They meet when the h hears gossip concerning her new neighbor who happens to be Sir Harry and driven by curiosity, she spies on him. There is no instalove-love between them but a slow build toward like, then love. The parts with the "lurid, gothic novel" and pigeons of death were hilarious and had me laughing out loud and Harry's cousin Sebastian was a real scene stealer. I am sitting with a smile while I write this review and that is valuable to me. Would I want to read this book again? Yes most definitely. Avoid this one for a very long time due to the, to me unappealing, blurp. However, having read the first in the series a few weeks ago I felt it now had to be done. 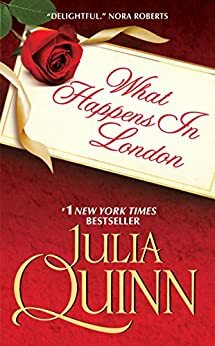 Compared to other, non Quinn, historical romances still top-notch, but I felt it wasn't the usual outstanding quality of the author. There are a few holes in the story and some historical 'inaccuracies', for example I felt that the difference in rank of the protagonists would have normally been an issue but it doesn't even get a mention, even when the ranking order is listed by the heroin. If you are looking for a lot of twists and turns, or a thrilling story this is probably not for you. All in all not a lot happens. BUT it is a charming love story. Olivia is a lot more likable than expected, after meeting her in The Secret Diaries, and Sir Harry is everything you want in a romantic hero. I very much enjoyed that there weren't really any of the big misunderstandings that leads the main characters to abandon each other, or "hate" each other, or keep them apart in whatever other way only to be reunited 5 Minutes before the end. It's a keeper and will definitely be read again. 5.0 out of 5 starsOMG So cute! I haven't enjoyed a book this much in a long time. I read the one before this about Miranda and while I enjoyed it, it doesn't come close to the feelings of joy I've gotten from this one. I think I spent about 3/4 of this book with a silly grin on my face. I definitely recommend this one! I know without a doubt I'll read this one over and over again.